It's official - London is the greenest city of its size in the world. Despite the jam-packed streets, high-rise buildings and millions of inhabitants, a staggering 47% of our capital city is green space. In fact, there's even a campaign underway to have London declared as the UK's newest national park. 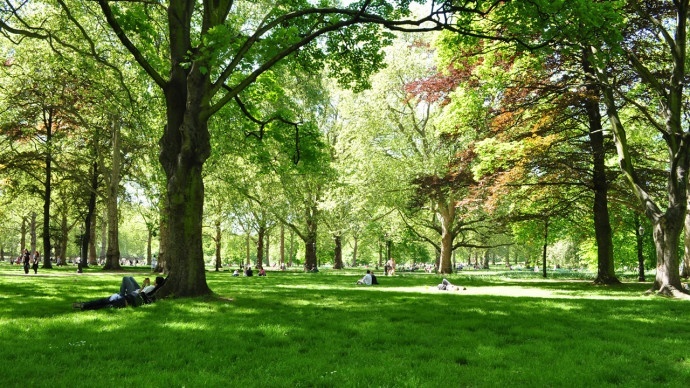 This green space is made chup of everything from public squares to cemeteries, but the majority of it is thanks to our excellent parks, which includes eight Royal Parks, most of which were originally established by Henry VIII as hunting grounds following the dissolution of the monasteries in the 1530s. 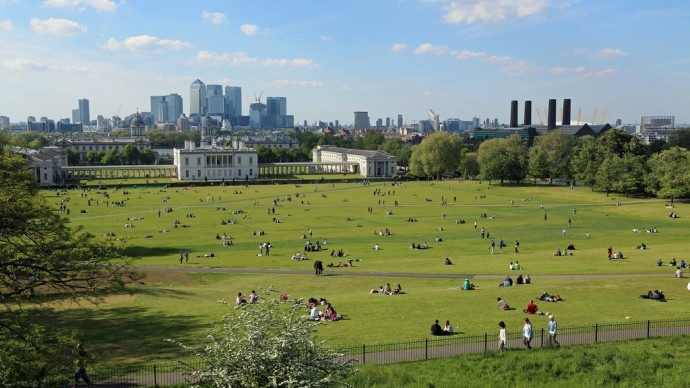 We're fortunate to have brilliant parks all over the city, so whether you're set on South London or eager to visit East London, we've got the best parks in London in every corner of the capital. Read on to discover the best spots for sunbathing, dog walking, outdoor swimming and much more! 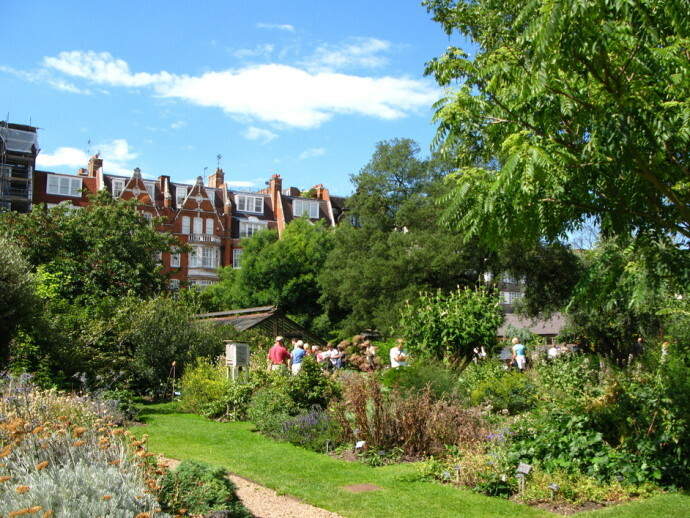 Bordered by the North West London areas of Kentish Town, Hampstead, Highgate and Archway, Hampstead Heath is an enormous, ancient park covering nearly 800 acres of land. 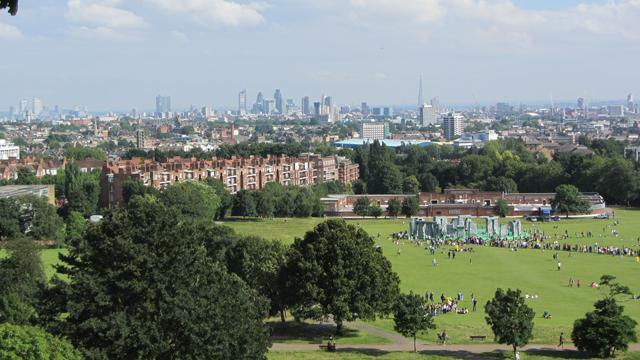 Despite offering swimming ponds, a lido, an athletic track and an incredible view over London, it still feels largely untouched with big patches of woodland and plenty of secret spots, which also makes it one of the best parks in London for sunbathing undisturbed. 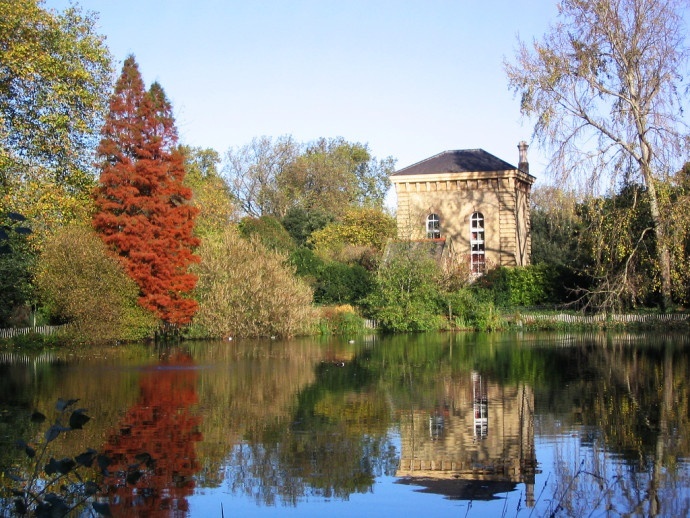 You can easily spend the whole day here in the summer swimming in the ponds, enjoying a picnic with a view and even taking in some culture at the elegant Kenwood House. Finish off with a visit to one of Hampstead's many pubs, and you've got the recipe for the perfect weekend! Once part of a large expanse of royal hunting grounds used by Henry VIII, Primrose Hill is now the leafy green mound in the heart of this exclusive, celeb-heavy area. With a fantastic view over London it's one of the best parks in London at night (particularly on Fireworks Night, when you can see all of the celebrations across London), and during the day is filled with dog walkers, sunbathing students and locals enjoying a picnic from one of the many local delicatessens. Once referred to as the 'jewel in the crown', the 410 acre Regent's Park was designed by John Nash in the early 19th century, and is often considered to be a great example of Georgian landscaping and architecture. 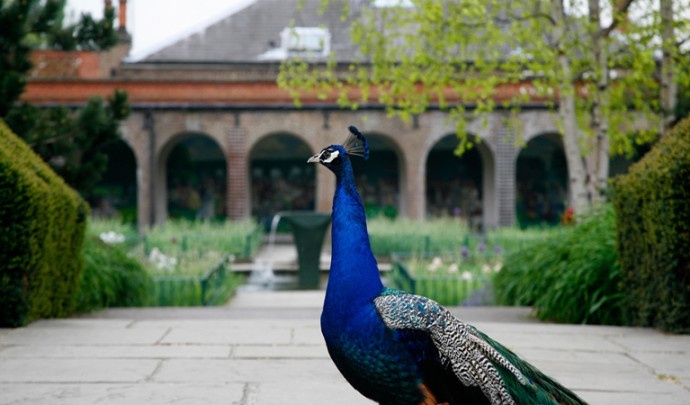 As one of the most formally organised parks in London, it features plenty of flower beds and structured gardens, as well as a boating lake, an open-air theatre, London Central Mosque and the brilliant London Zoo, which is home to nearly 20,000 animals! 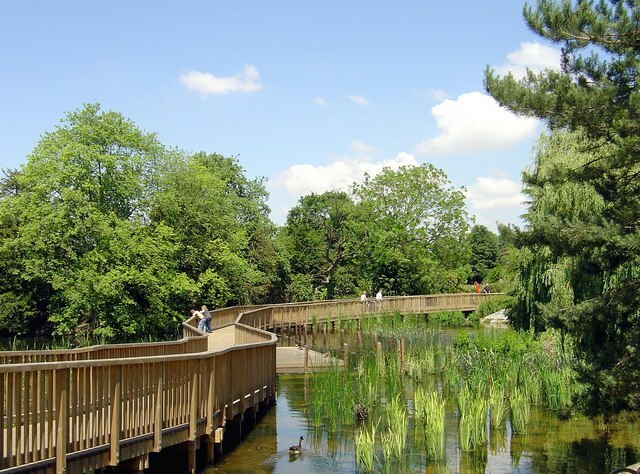 It’s not hard to see why Battersea Park makes it into our ‘Best Parks in London’ guide. Is there anything this 200 acre Victorian park doesn’t have? There’s an awesome boating lake, extensive grounds to explore, a fantastic art gallery, views of the Thames and a zoo. Any park that is home to a chinchilla and a donkey wins in our world. What's more, the one kilometre promenade along the river front is the perfect location for a Sunday afternoon stroll and there’s even a lakeside café for all of your coffee-drinking needs. Check your watch by Greenwich Mean Time at the exact location of the Prime Meridian Line. This beautiful royal garden is also home to the Royal Observatory, the National Maritime Museum and the Old Royal Naval College. The deer park and the herb garden are worth checking out and on a clear day you can have views along the Thames to St Paul’s Cathedral. 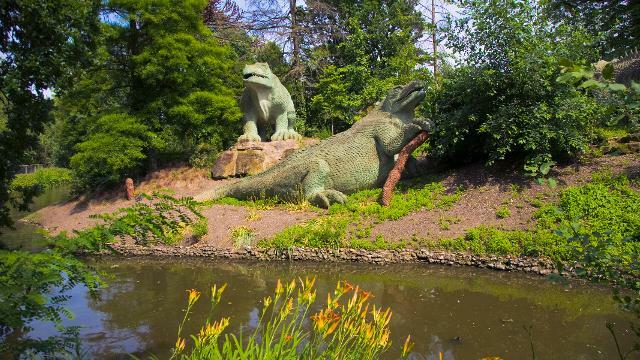 Feel like you have stepped onto the island in Jurassic Park as you walk amongst the dinosaur statues dotted throughout Crystal Palace Park. The Victorians clearly had a thing for large lizards and installed 33 life-sized (not anatomically accurate) dinosaur statues in 1854. The Great Exhibition of 1851 was held here in Joseph Paxton’s architectural marvel, the Crystal Palace. Sadly the building no longer exists as it was burnt down in 1936. But cheer up, in the extensive gardens you will find the Great Maze – one of the largest mazes in the country it covers almost 2000 square yards. Crystal Palace Park is also home to the National Sports Centre and the park itself is a fantastic place for joggers and bike riders. 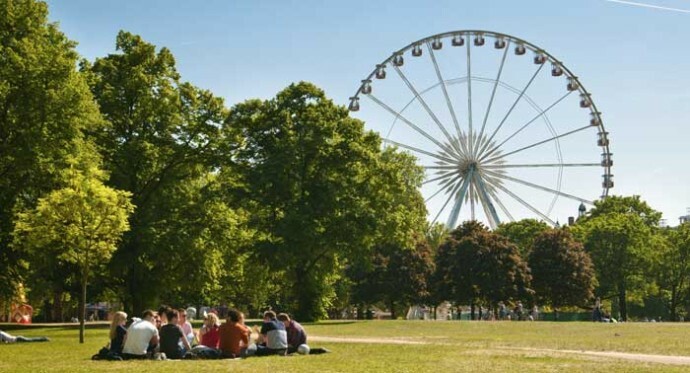 Clapham Common is well known for its festivals including South West Four but there’s more than just rave events to bring you to this natural wonder. With 220 acres of greenspace and three ponds, it is a quiet place to sit and relax and escape the buzz of London. It is famous for its cast iron bandstand that was renovated in 2005-06 after having fallen into a state of disrepair. Dulwich Park started its life as meadows and fields on the outskirts of London until it was transformed into a public park in 1890. It has a fantastic park for bike riding as cars haven’t been allowed inside the grounds since 2003. You can hire recumbent bikes and zoom around the park in relaxed style. There is a café, a boating lake and many sporting facilities including tennis courts and a bowling green. 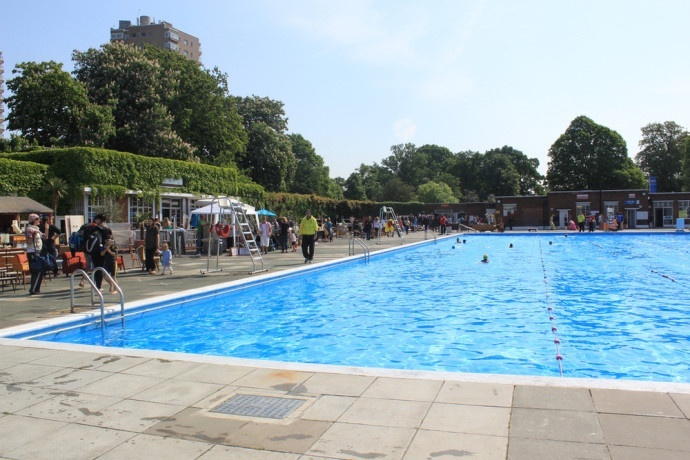 Make the most of sunny summer days with a dip in the outdoor pool at Brockwell Park. The art deco Brockwell Lido is popular with the locals who attempt to keep this open air pool secret from the rest of London. For those who want a bit more action, there’s also a BMX track and football, cricket and basketball facilities. If that isn’t enough, there’s also a miniature railway and three duck ponds. Yes, three! Situated in Hackney, London Fields has existed since 1540, when it was common ground and pasture land for farmers and their livestock. Nowadays it's a popular summer haunt for locals from the nearby areas of Haggerston, Hackney and Dalston, who come here to swim in the lido in the summer months, play cricket, enjoy a game of tennis on the courts and spark up BBQs in the dedicated barbecue area. 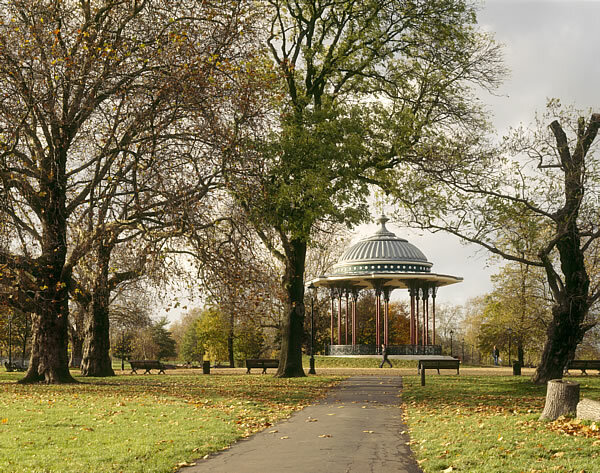 In contrast to London's Royal Parks such as Hyde Park, Richmond Park and Regent's Park which were originally hunting grounds, Victoria Park was purpose-built in 1845, and as a result is the oldest purpose-built park in the city. During the Victorian period it was particularly popular with local East End working class residents as an area where children could explore the wide green spaces and see another side of the city, as well as swim in the Bathing Pond, which was later closed. 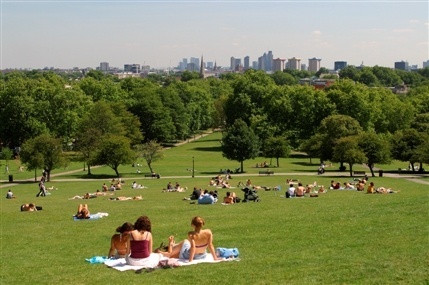 It's still considered to be one of the best parks in London (and one of the most popular), winning numerous awards over the years and developing a reputation for amazing live music festivals such as LoveBox and Field Day. 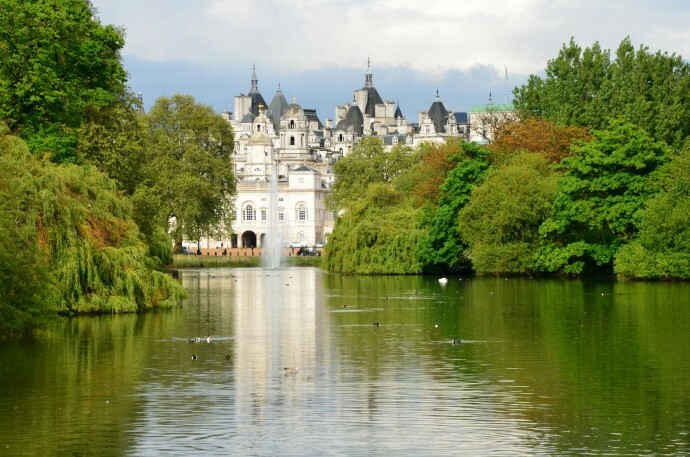 You could be forgiven for thinking you'd fallen into a fairytale as you spy the Horseguards building across the lake and through the trees in this wonderful park, but rest assured, you're still in West London! 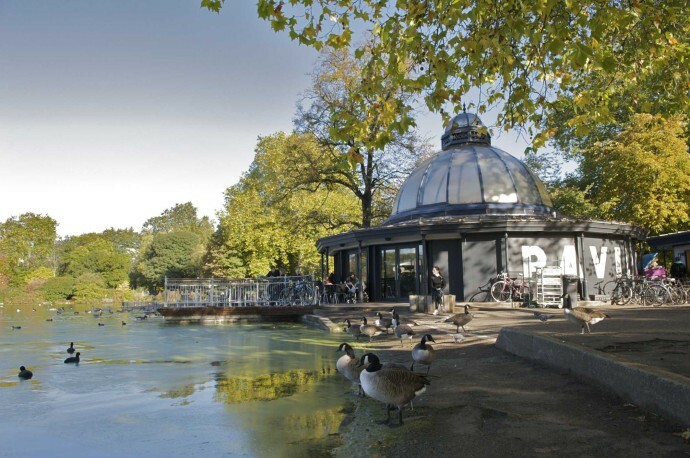 Located in the City of Westminster, this 57 acre park is bound by Buckingham Palace, The Mall, Horseguards and Birdcage Walk so there are plenty of nearby attractions, while the park itself offers a small lake with a colony of pelicans, cute cafes and excellent picnic spots. Just across The Mall from St James Park, Green Park is unique amongst the Royal Parks of London for having no lakes or buildings, instead being filled with mature trees and naturally growing flowers punctuated by three major memorials: The Canada Memorial, The RAF Bomber Command Memorial, and the Diana Memorial. Close to many of central London's major attractions, it's a great spot to explore when you need a rest from the bustle of the city. Situated smack-bang in the heart of London between Marble Arch and Kensington, Hyde Park is one of the most famous green spaces in the capital, having gained an international reputation for attractions including Speakers Corner, the Serpentine Sackler Gallery and the Serpentine Lido. It was originally created as a hunting ground in 1536 by Henry VIII, and remained as a private estate until the reign of James I. 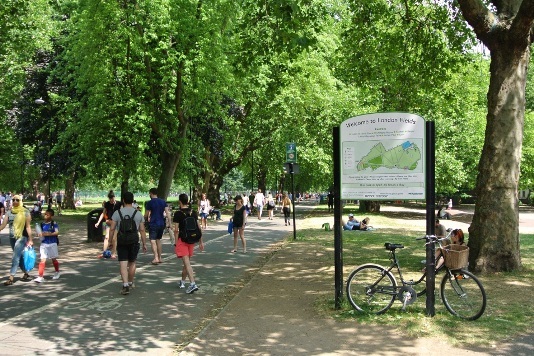 Today it's incredibly popular with Londoners and tourists alike, who flock here to enjoy long cycle rides through the park, cultural visits to the Serpentine Sackler Gallery, and events such as Hyde Park British Summer Time in June and July. This charming green oasis in the heart of Chelsea is dedicated to medicinal and healing plants, and is also home to the world's oldest rock garden. Established in 1673, it covers just four acres but squeezes plenty of features into this small space, including a dedicated Garden of Medicinal Plants, Britain's first garden of ethonobotany, a cafe and a shop selling unusual plants. It may only be 54 acres large, minute compared to many other London parks, but what Holland Park lacks in size it makes up for in atmosphere! This pretty patch is often called the most peaceful and romantic park in London due to the Orangery, Japanese Gardens and the haunting ruins of Holland House, which was destroyed by bombs in 1940. The giant chess set, children's playgrounds and tennis courts make Holland Park one of the best parks in London for kids, while both the old and the young will love spotting the peacocks which roam the park! The world-famous Kew Gardens in Kew, South West London is home to the largest collection of living plants across the globe. 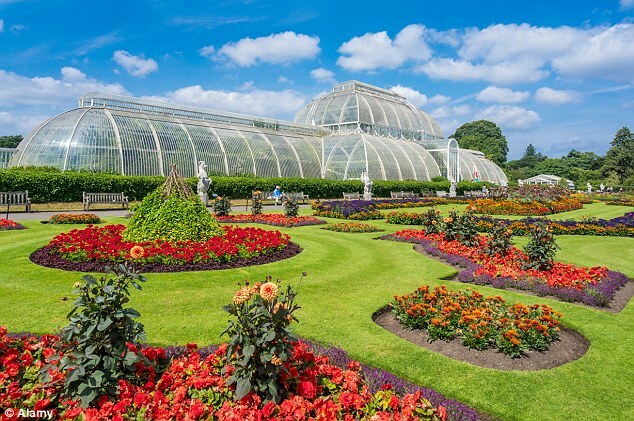 Established in 1840, it's now one of London's biggest tourist attractions as both visitors and locals come here to see more than 30,000 living plants and over 7 millions preserved plant specimens, as well as the beautiful glasshouses and pagodas. Even the least green-fingered of visitors will enjoy an afternoon spent in these amazing surroundings, and there's also a cafe and restaurant for refreshments and a few slices of excellent cake. This expansive parkland is the combined greens of Putney Heath, Putney Lower Common and Wimbledon Common. The commons are important conservation areas for natural flora and fauna and are a unique site for the stag beetle. There are plenty of sporting facilities throughout the grounds including football, rugby and (of course) tennis. Every Saturday morning, you can join over 300 runners on a 5 kilometre course. 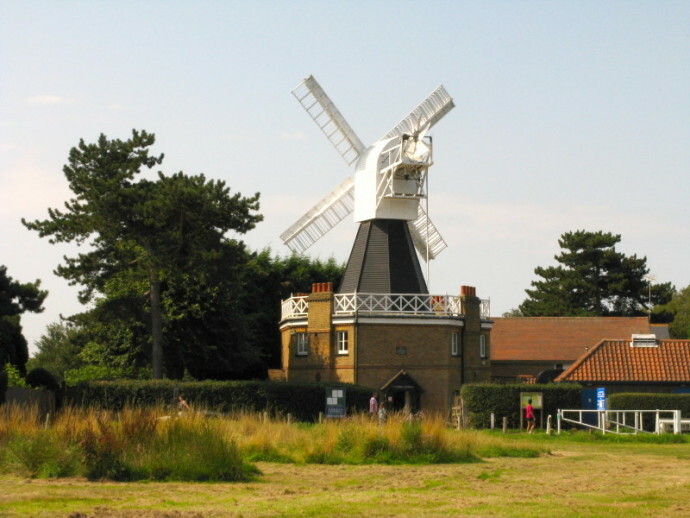 In Wimbledon Common is a windmill, which is now open as a museum. The common is also home to the Wombles and if you’re lucky enough you might spot one in the woods. Formerly the private gardens and grounds of the pretty Kensington Palace (now home to William and Kate, among other royals! 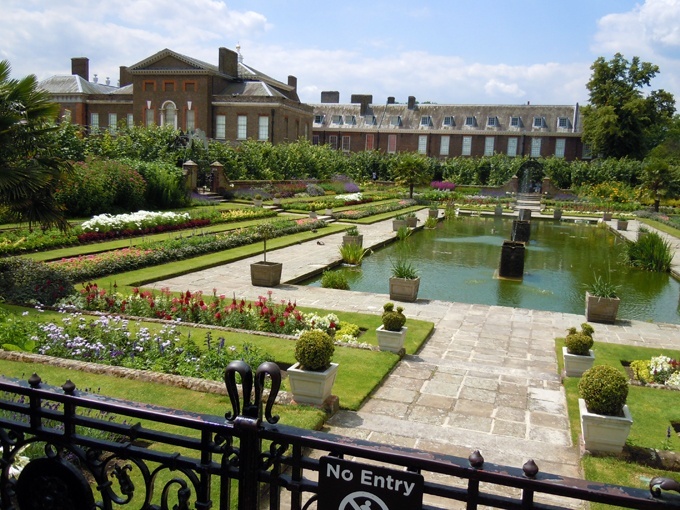 ), Kensington Gardens has been open to the public since the late eighteenth century. Occupying the western area of Hyde Park, they're home to formal gardens and structured pathways lined with flowerbeds and water features. 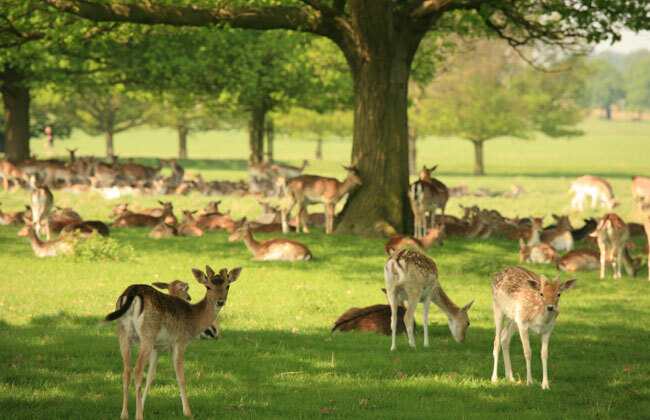 Measuring in at an impressive 3.69 square miles, Richmond Park is the largest of London’s Royal Parks and comes in second largest of all London Parks (Lee Valley Park gets in first.) It has significant national and international importance for wildlife conservation and is a Site of Special Scientific Interest. It is a great place to go cycling, fishing and horseriding and there is the Richmond golf course located within the grounds. There are numerous heritage listed buildings including the White Lodge, which was a hunting lodge for George II. 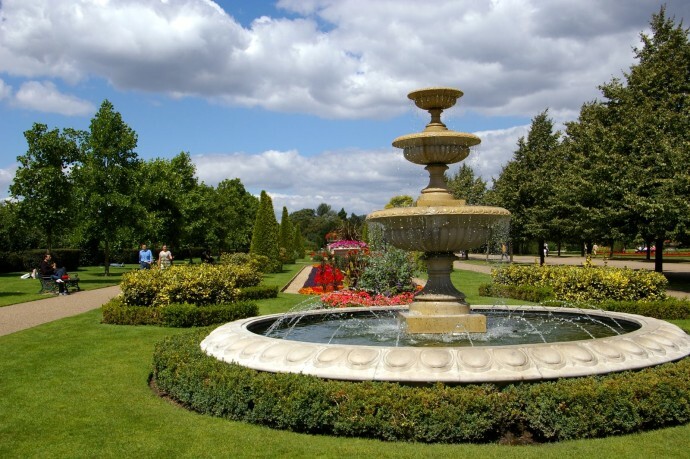 Lucky Richmond boasts not one but two beautiful parks, the second being Bushy Park near Hampton Court Palace. The second largest of London's Royal Parks at over 1,100 acres, it's one of the best parks in London for dog walking with loads of space to let your furry friend run free, as well as being home to plenty of sporting activity with Teddington Rugby Club, Teddington Hockey Club and four cricket clubs all based at Bushy Park.